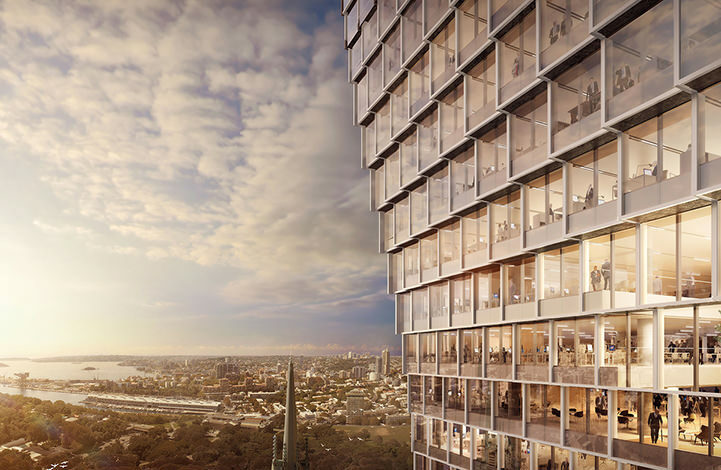 Sydney’s latest office tower, jointly owned by Investa Commercial Property Fund and Gwynvill Group’s, has set the record for the most expensive office rent in Sydney, with an annual net face rate of more than $1,800 a square metre, reports the AFR. The newly constructed 33-level premium-grade building located at 60 Martin Place, topped out on Wednesday. The Australian reported yesterday, that Investa and Gwynvill had leased a further 9000sq m to three global companies on terms of between 10 to 15 years. Flexible workspace provider International Workplace Group has agreed terms on 4,500 square metres within the building’s podium across levels one to three, with plans to use them as a co-working hub called “Spaces”. Financial services group, Munich Re secured 2600sq m of space on levels 27 and 28, moving out of its own building on Macquarie Street. One of Japan’s three “megabanks”, Mizuho Bank, will relocate from 60 Margaret Street to levels 29 and 30, occupying 1900 square metres. Higher floors were leased at an annual net face rent of more than $1800 square metre, while lower floors were averaging around a net annual face rent of between $1200 to $1300 a square metre, Investa group executive Michael Cook said. Incentives, whether it’s rental rebates or fitout allowances, have come down from the mid-20 per cent mark that was once prevalent in the CBD. While decreasing incentives tend to indicate conditions are in landlords’ favour, especially with vacancy at record lows, the office leasing market is in a “delicately balanced” equilibrium, a condition landlords shouldn’t take for granted, Mr Cook said. “It’s a good market. Tenants are not necessarily stressed but neither are landlords. But there are no easy gets in a market like this,” he said. With Investa opening city towers both this year and in 2018, Mr Cook said they were coming ahead of rivals such as Brookfield’s Wynyard Place, AMP Capital’s Quay Quarter Tower and Lendlease’s Circular Quay Tower. Mr Cook said Martin Place was regaining its prominence and would benefit from Macquarie Group’s new over-station towers due in 2024. “Sydney is still the strongest market in Australia,” he said, citing its status as the gateway city. CBD leasing agent Ray White’s Anthony Harris said the leasing record at 60 Martin Place was unprecedented, with the lack of supply the reason for the high rents. “$1800 net or $2000 gross is a new benchmark high level never seen before,” he said. Mr Cook said only four to five floors were still available for lease, with a couple of floors set aside for a carve-out of smaller 500sq m to 800sq m suites. The HASSELL-designed building with state-of-the-art end-of-trip facilities is on track for completion in September.